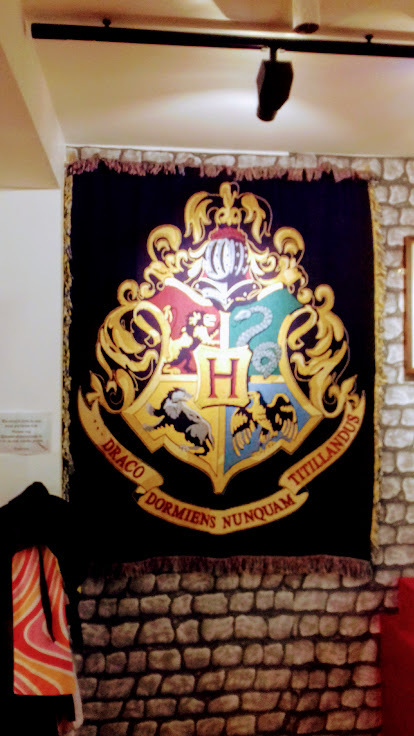 A few weeks back, I was contacted by a childhood friend of Nathan’s, inviting us to a Harry Potter exhibition in Braintree. Did we want to go? Merlin’s Beard, yes! But the summer’s been busy and it’s only now that I’ve got organised enough to get us there. So apologies if this review would have been *really useful* as a day out tip at the start of the summer holidays. I only have myself to blame. 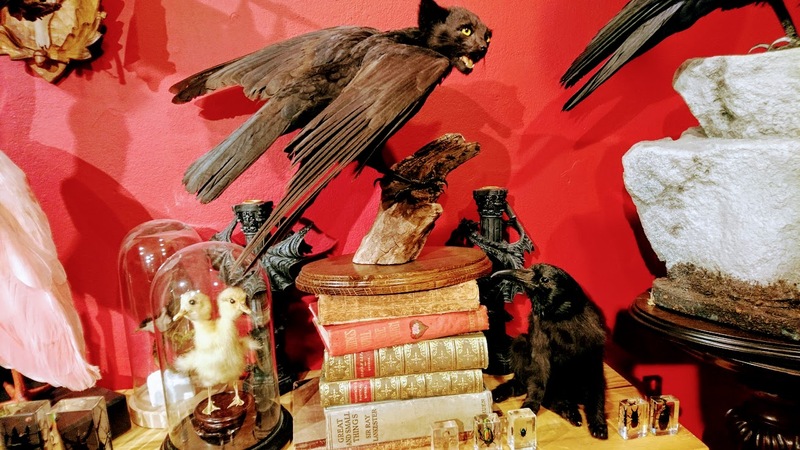 The exhibition’s called “School for Witchcraft & Wizardry” and it’s at the Braintree District Museum. which is pretty much in the town centre. There’s a car park right opposite and we paid £3 for 6 hours’ parking so it’s pretty reasonable. The machine even took new pound coins. You know what wasn’t being reasonable? Eva. As soon as I told her we were going to a museum, she’d got it into her head that we were going to the Science Museum. Cue massive tantrum and clothes refusal. It would take some extra special wizard magic to turn this one’s mood around. Reuben, by contrast, was right into it. He’s the one with some basic Harry Potter knowledge, as he and Nathan read the first book and he’s played the board game many a time. He was straight on to the video tutorials on spell casting and, dressed as a Ravensclaw, was soon “Wingardum Leviosa”ing in a way that’d make Hermione proud. She spent ages trying to work out how the rooms connected up and decided that she liked the kids’ bedroom the best. Later, when we were discussing the Mirror of Erised, she said that her heart’s desire would be “a huge dolls’ house, just like the one in the museum”. We told her not to tell Nana that next week because Mummy darn sure wasn’t carrying a dolls’ house the size of that one back on the train. 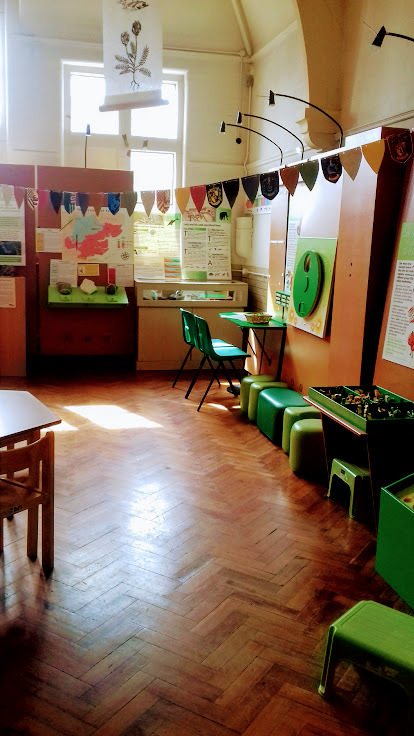 As well as the Harry Potter rooms, there are a number of permanent exhibitions on local history, which is where the dolls’ house came in. 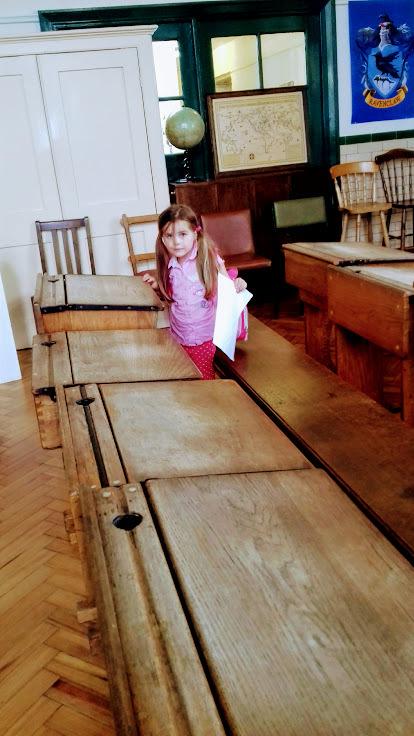 There was also a Victorian classroom, and Eva couldn’t quite believe that I had these same desks when I was at school. Actually she believed it all too easily but then didn’t believe my school days were only 20 years ago. She asked whether my classroom looked just like this and yes, it pretty much did. My secondary school was a bit behind the times in the 90s. Later on, Nathan and I were musing over when the map of the world was from – it had the USSR on it so we didn’t think it was Victorian but couldn’t see a date. Yes sir, we are geeky. 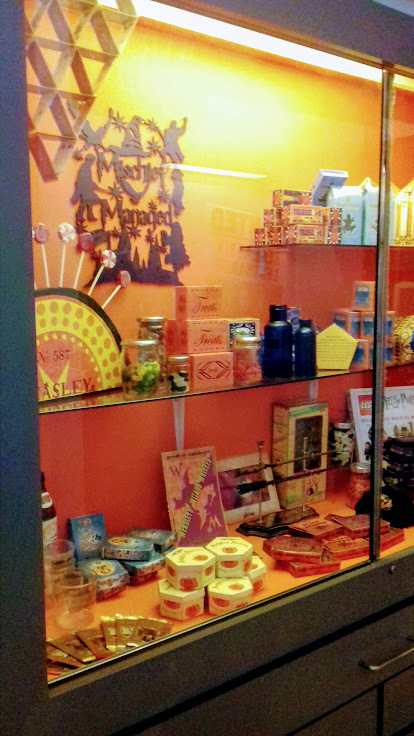 But we were at a Harry Potter exhibition so that’s OK, right? And happily, Eva had started to enjoy herself so we could go back through the HP rooms at a more leisurely pace. She dressed up in the Ravenclaw robes and practised her spells. 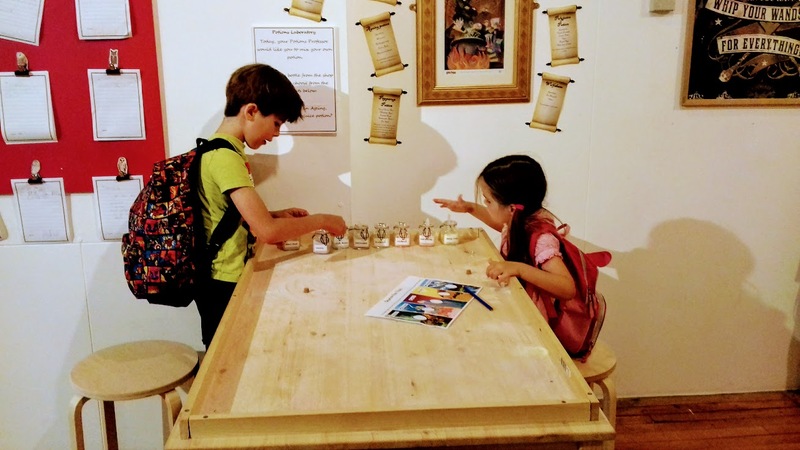 Then I dispatched Reuben to the gift shop with a pound and he came back with two tiny bottles to put sand into, to make “potions”. As with anything crafty, Reuben did his in seconds and Eva spent ages layering hers ever so ever so carefully. They both enjoyed it though. 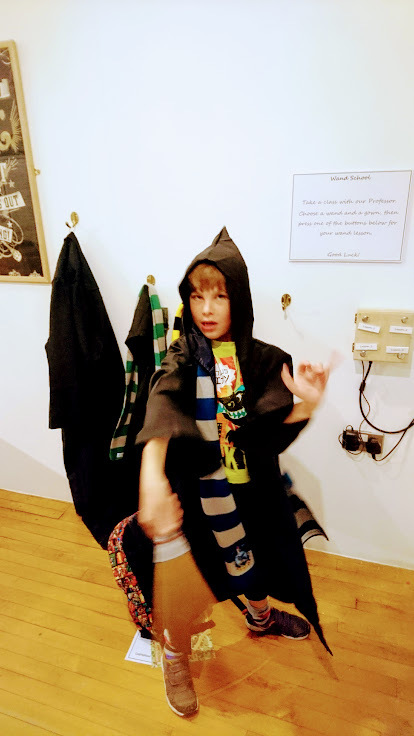 In case you’re wondering why both kids chose Ravenclaw robes, it was the way they were sorted by the flowchart and the four talking boxes in the background of the photo above. Nathan was also Ravenclaw, which he’s always said he was…but so was I. 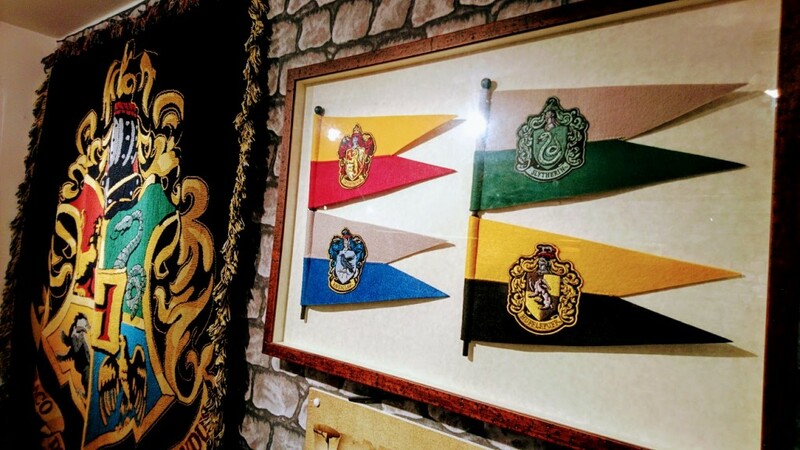 Which I’m going to dispute because clearly, I’ve always been a Gryffindor. I’m not one of those background introverts. Hmph. 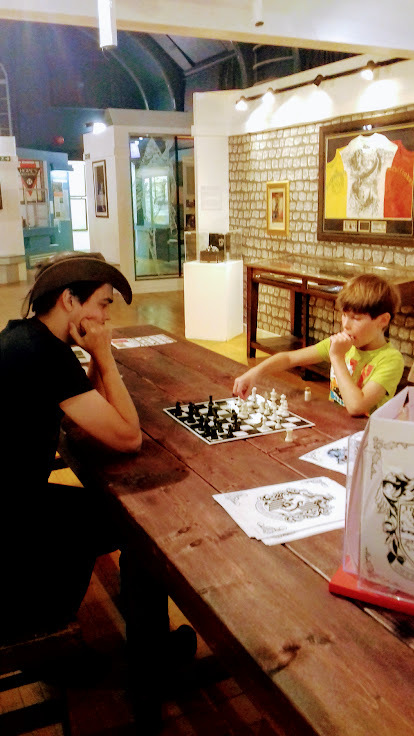 Talking of introverts, Nathan and Roo chose to play some chess next. 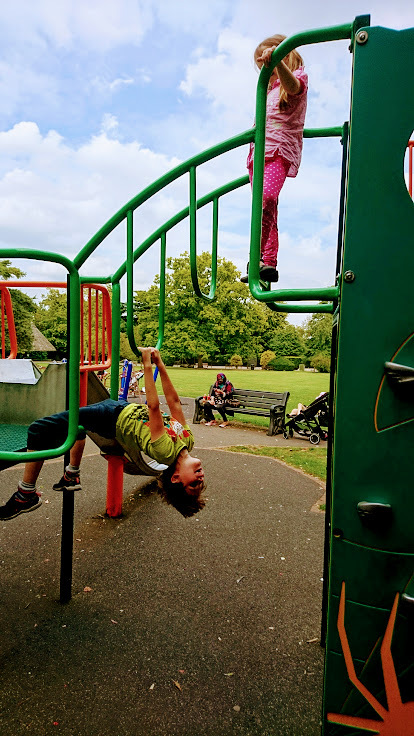 Eva and I completed two of the trails – the Dragon Egg trail, where we had to find baskets of egg-shaped stickers, and the Fantastic Beasts trail, where we had to spot the insects lurking in the glass cases. We also got some photos of the kids in the “Have You Seen This Wizard?” photo frames and of course, being wizard photos they had to be moving. I’ve GIFed Eva’s for you, but for technical reasons there’s no Roo GIF. Sorry Roo. 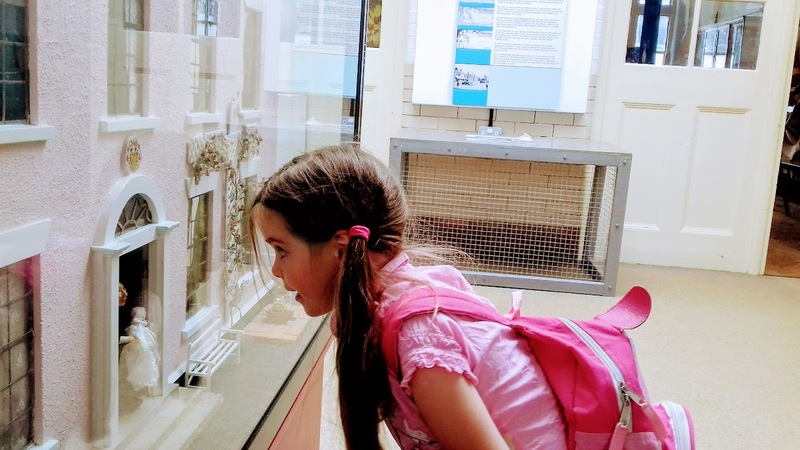 She eventually admitted that she liked the museum, by the way. 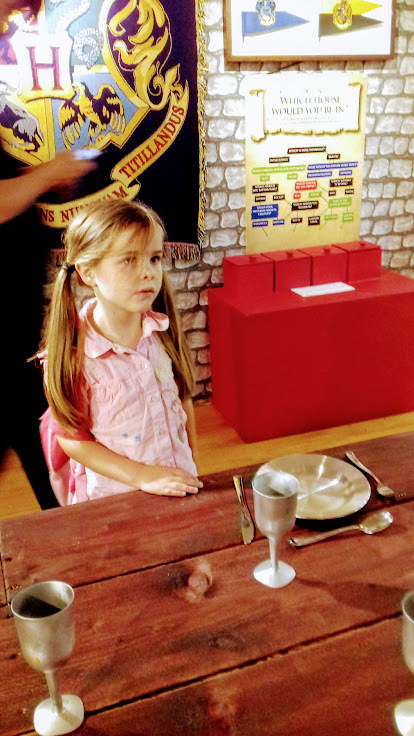 It took a while because she’s stubborn and had taken against the whole idea but as we walked through the town after lunch, she said “I didn’t think I’d like the museum but I enjoyed it”. High praise indeed. 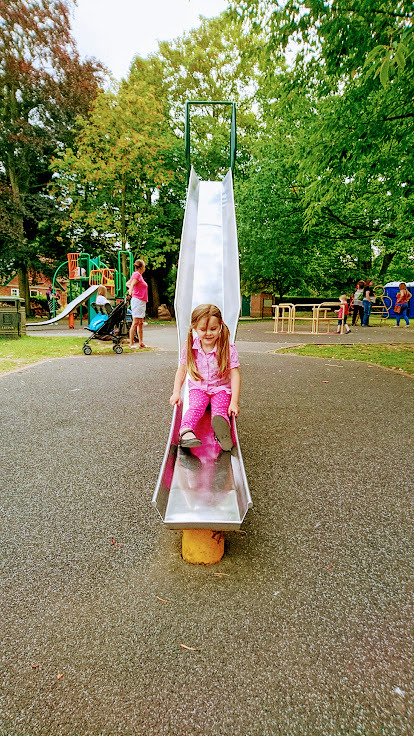 We were in search of a park, and found Braintree and Bocking Public Gardens, which had a playground in it and also toilets, which are always an essential part of any family day out. 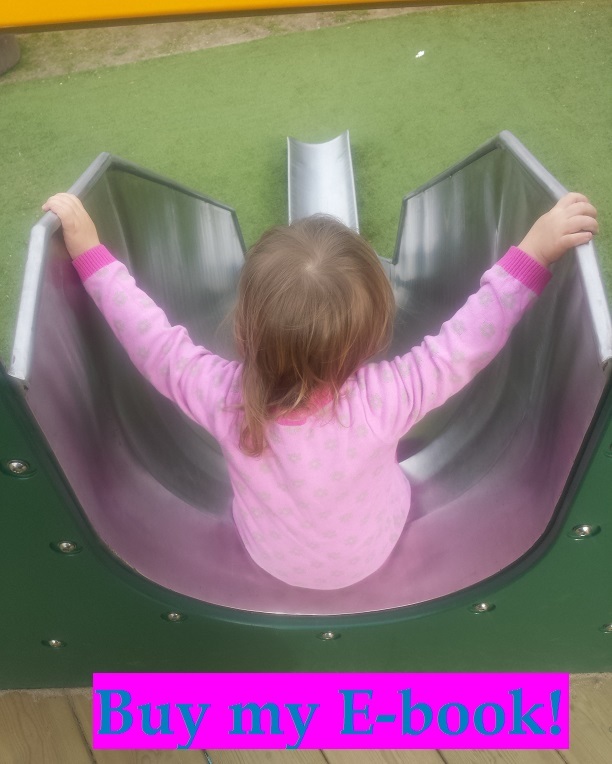 It wasn’t huge but the kids played happily for an hour or so. 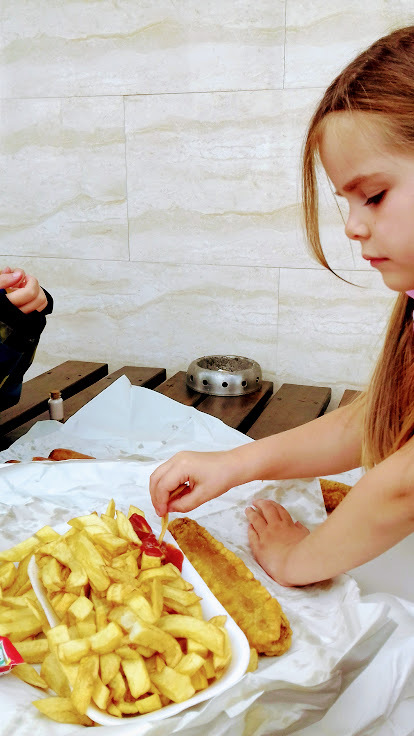 I wondered about a cafe trip but honestly, I was still a bit stuffed from the chip shop. As stuffed as that two-head chick up there. The Cool Beans cafe did look like a nice place to have a cuppa though. 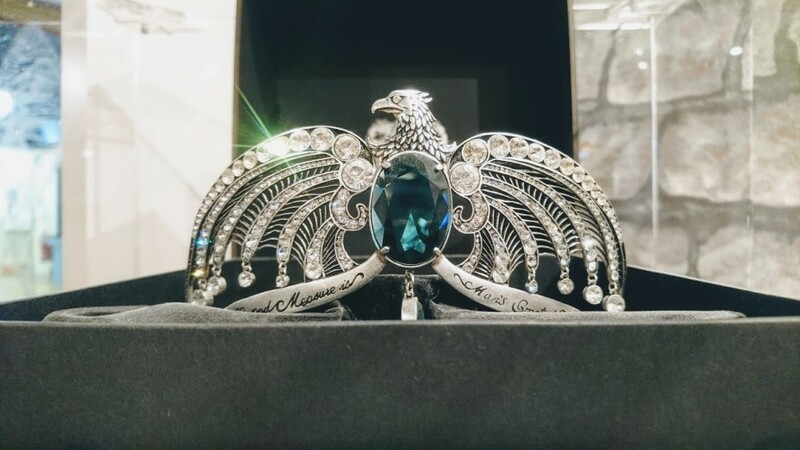 I won’t bore you with our trip to Shoe Express for plimsolls so let’s leave this post on a few more pretty pictures of Harry Potter stuff. Look, sparkly horcruxes and wizard wheezes! 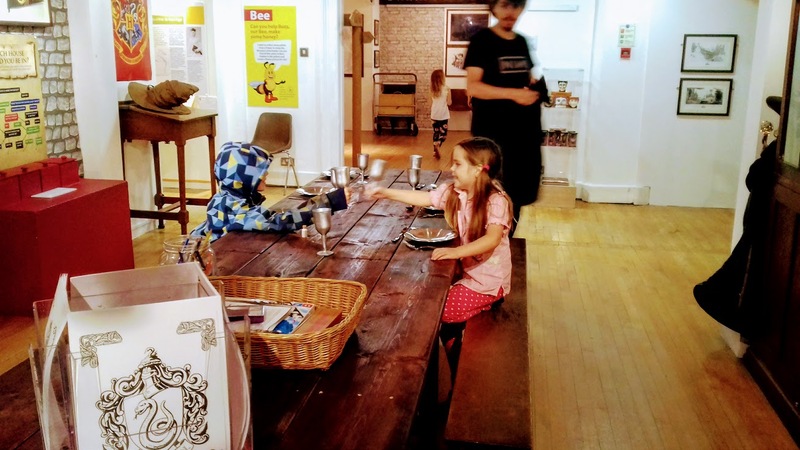 It’s a great little museum, very affordable – £4 for adults, £2 for kids – and not too far from London. It took us around 45 minutes to drive there. I’d def recommend it as a day out, especially if you or the kids are Harry Potter enthusiasts. 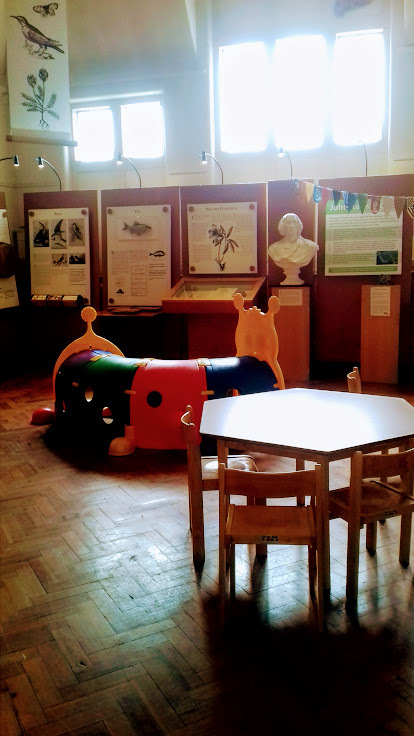 This entry was posted in Token attempts at culture (museums) and tagged museums, outside London. Bookmark the permalink.